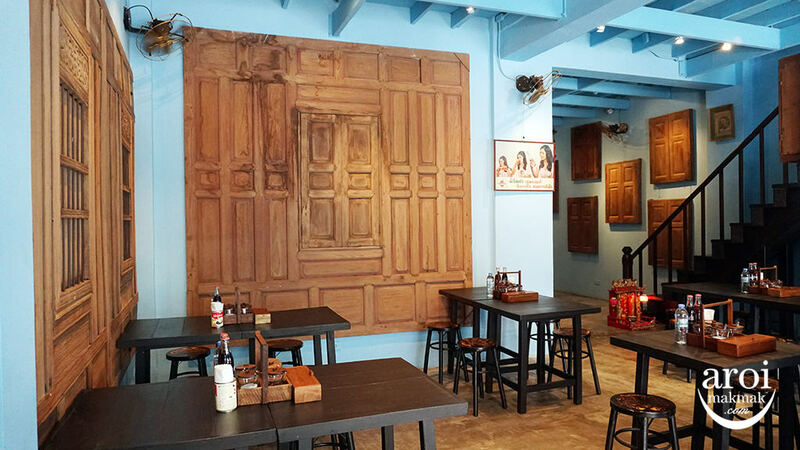 Baan Phadthai opened in 2016 in Charoen Krung Soi 44 and is now one of Bangkok’s most popular restaurant for good Pad Thai, joining the other big names specialised in Pad Thai. 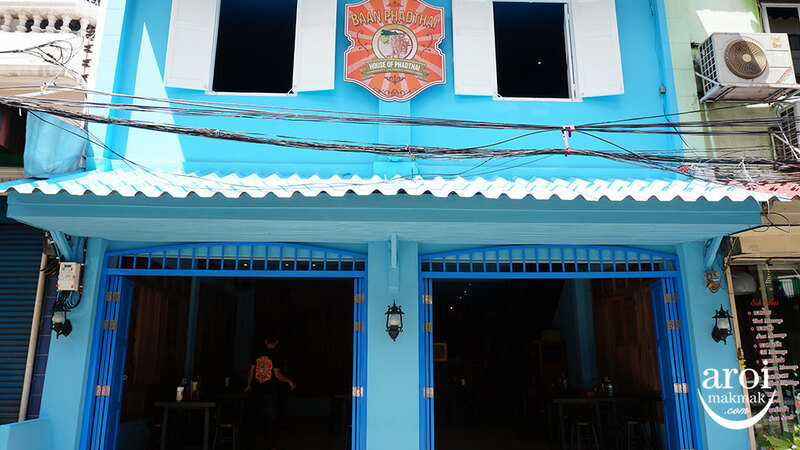 As you walk into Charoenkrung Soi 44, you will notice that the houses here are quite old and run down but Baan Phadthai stands out with their bright sky blue colour, retaining the colonial style of the area. Despite being located in a very old building, you will be glad to know that the interior has been refurbished and it looks polished and clean, very different from the rest of the neighbours. 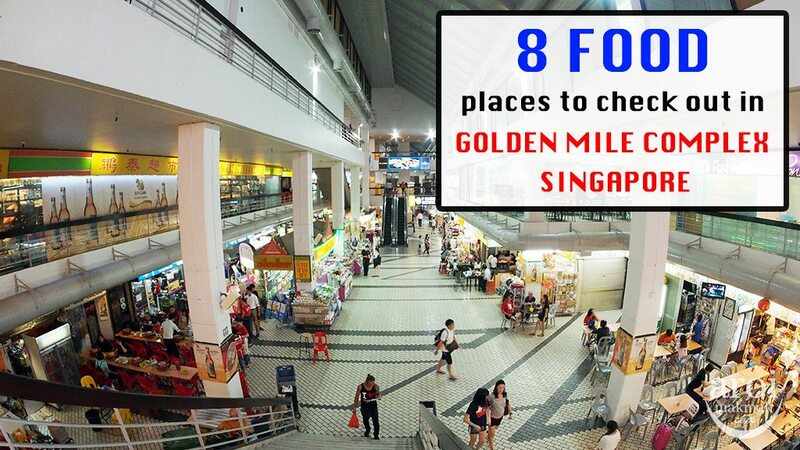 Because of the location, it is visited mainly by tourists as compared to locals even though we also see locals dining here. 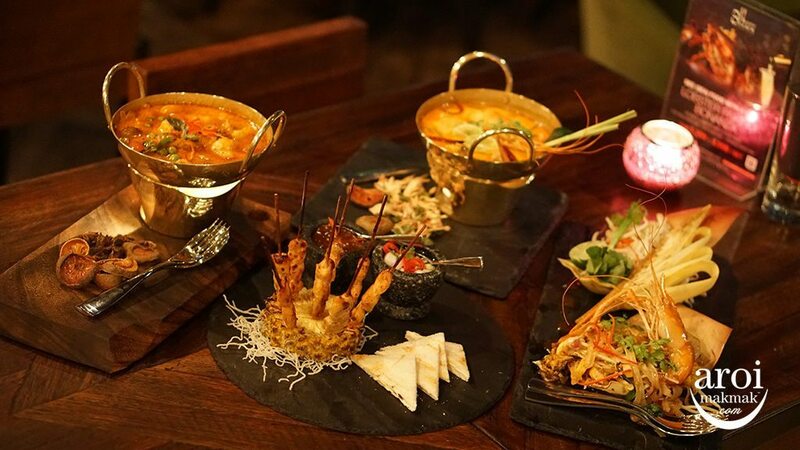 Fyi, Baan Phadthai was awarded Bib Gourmand by Michelin in 2019. Mieng Kana [150฿] – This is a highly recommended dish at Baan Phadthai. 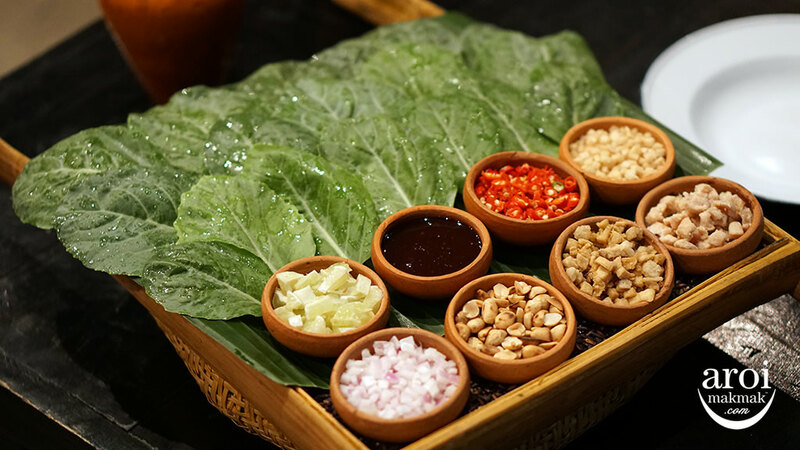 While the popular Miang Kham uses betel leaves, the version here uses young kale leaves. Here’s how you eat this dish. Take a kale leave, wrap it and put the various condiments into the leave. Quite appetising! 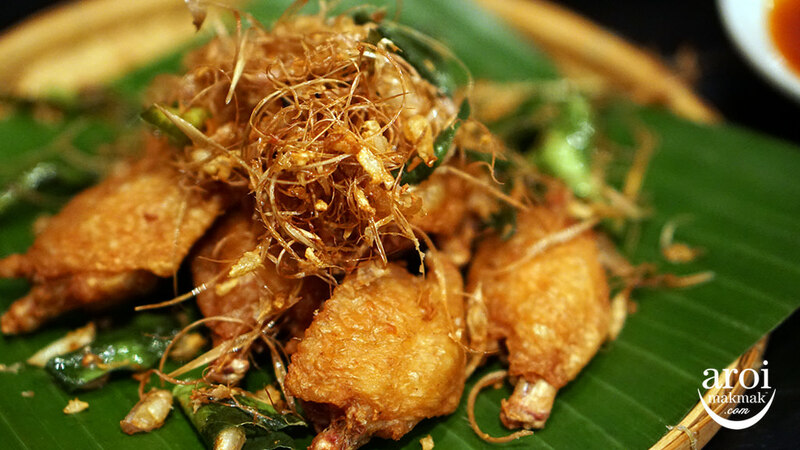 Gai Tod [190฿] – The deep fried spiced chicken wings here is served with homemade nam jim kai sauce. 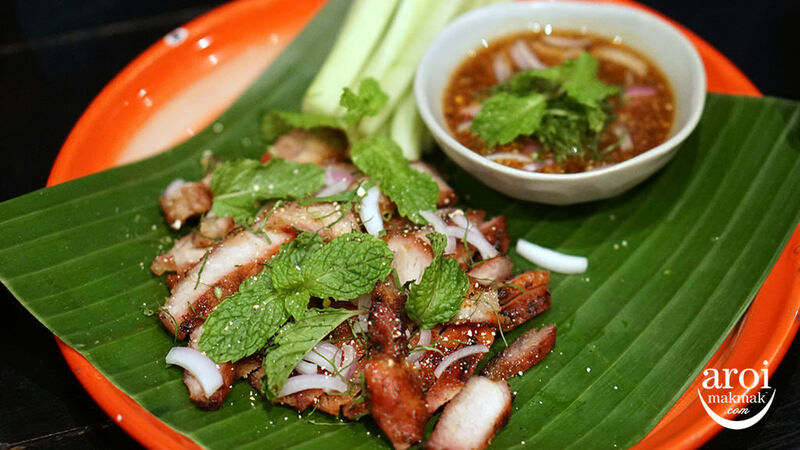 Moo Yang [200฿] – The traditional grilled marinated pork here is considered healthier simply because it’s less fatty. I personally prefer it to be fattier so that it is not as dry. And now time for Pad Thai! 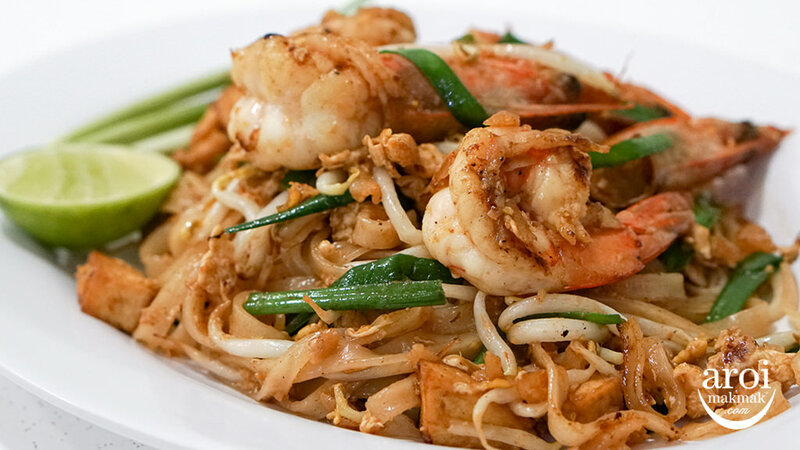 What’s so different about the Pad Thai at Baan Phadthai. 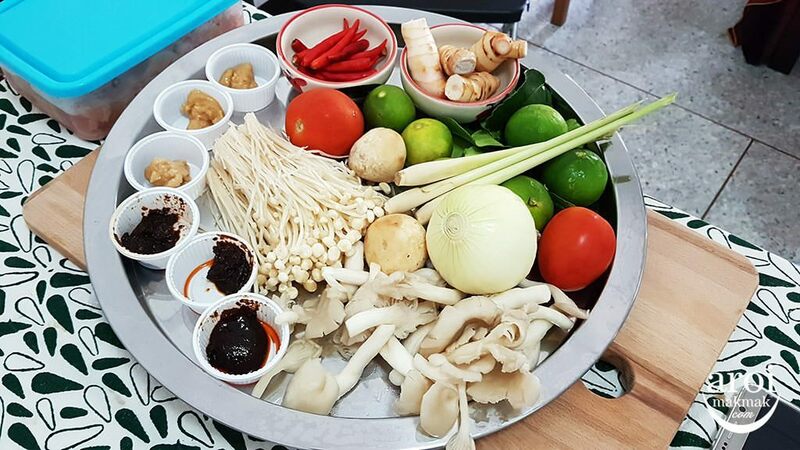 Here, Chef Sujira “Aom” Pongmorn (now heads Saawaan) reinvents Pad Thai by using 18 homemade ingredients following a secret recipe from the eastern part of Thailand. Instead of shrimp stock, crab stock is being used, resulting in a stronger flavour. 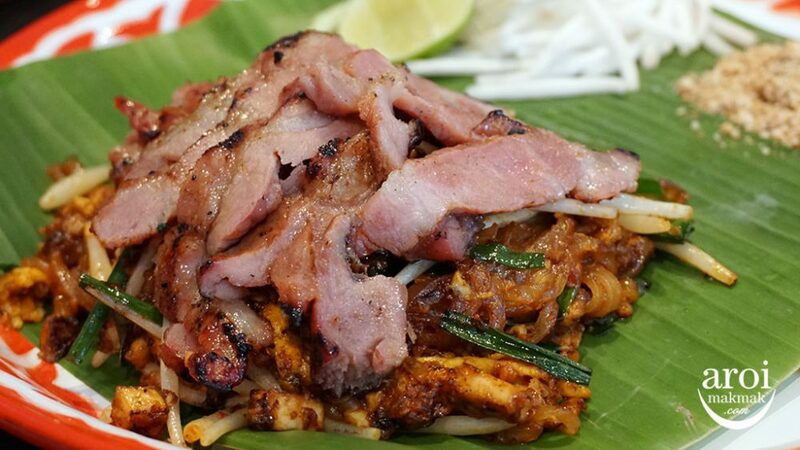 Phad Thai Moo Yang [190฿] – The basic version of the Pad Thai here starts from 160฿ and if you can choose one which comes with meat, like this one in the picture. 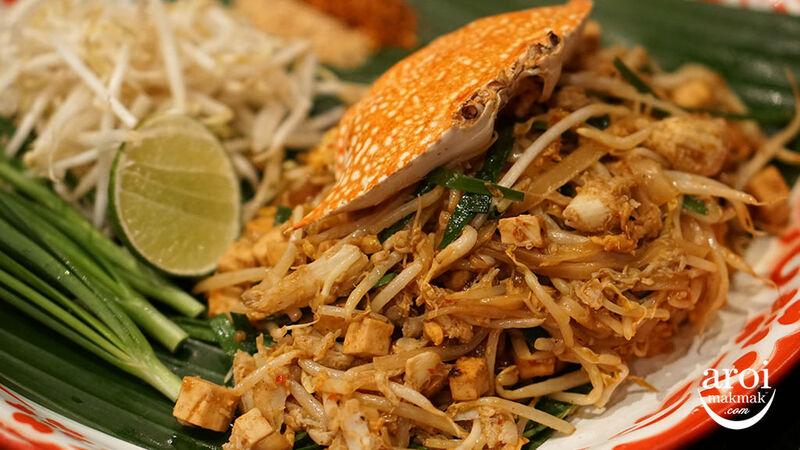 Phad Thai Phoo [280฿] – This version comes with blue crab meat. 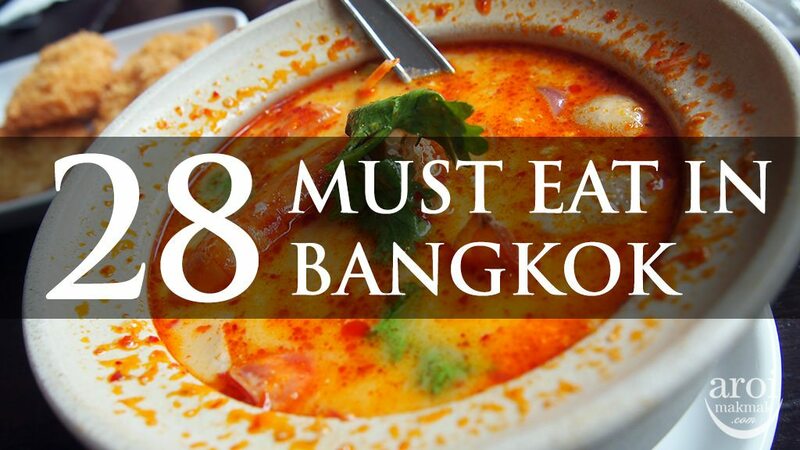 Whether the Pad Thai is delicious or not is extremely subjective. I won’t say that this is the best Pad Thai in Bangkok but definitely, one of the better ones around since they specialise in Pad Thai. 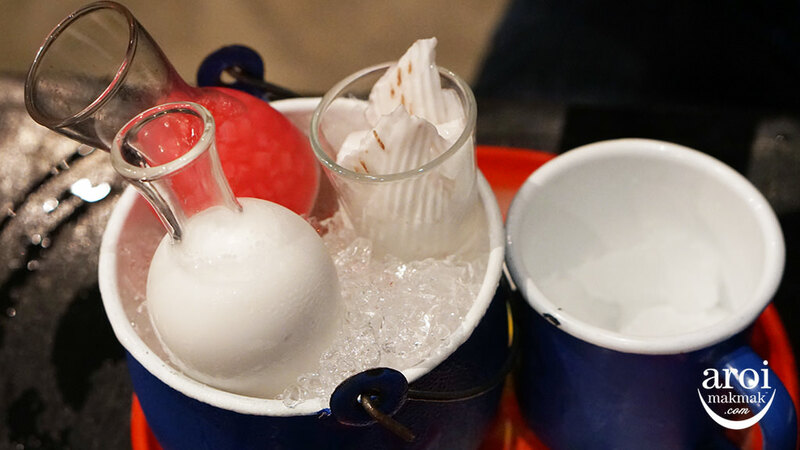 Tub Tim Grob [130฿] – The popular red ruby served with smoked coconut syrup and shaved ice. Note: The ice is made from coconut water. 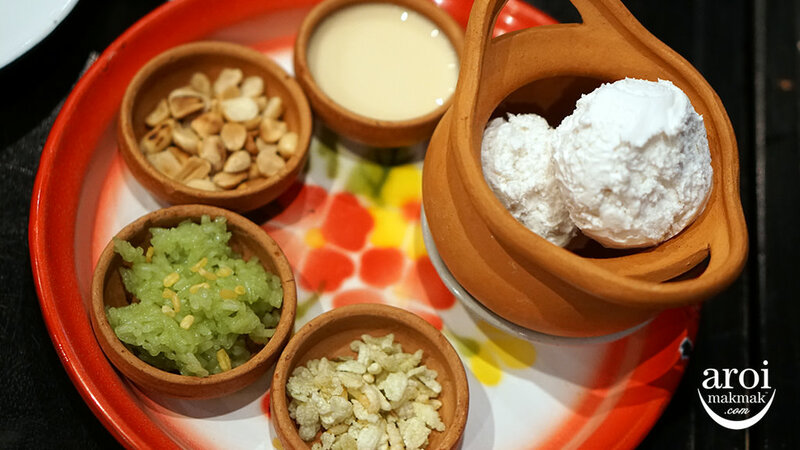 Itim Ka Thi [120฿] – Homemade coconut ice cream with Thai condiments. 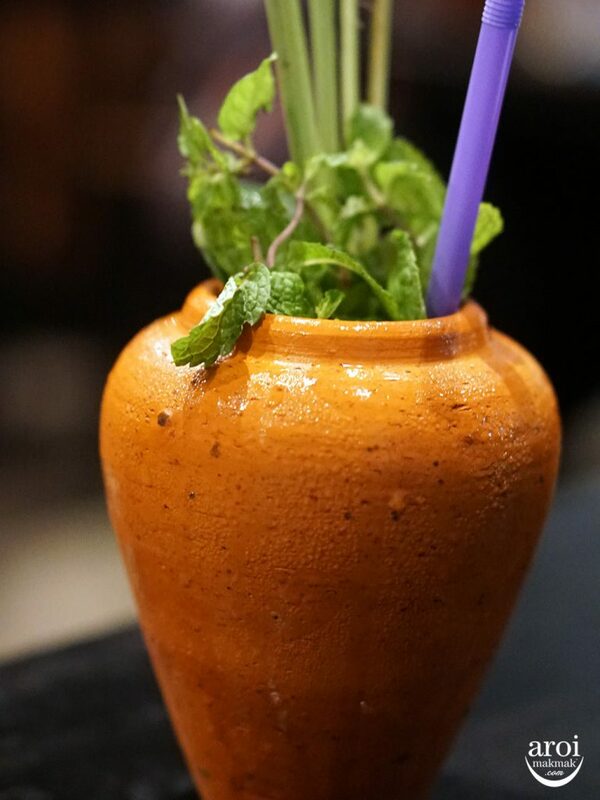 Thai Mojito [190฿] – This is Baan Phadthai’s signature drink. Don’t worry, it won’t get you drunk. 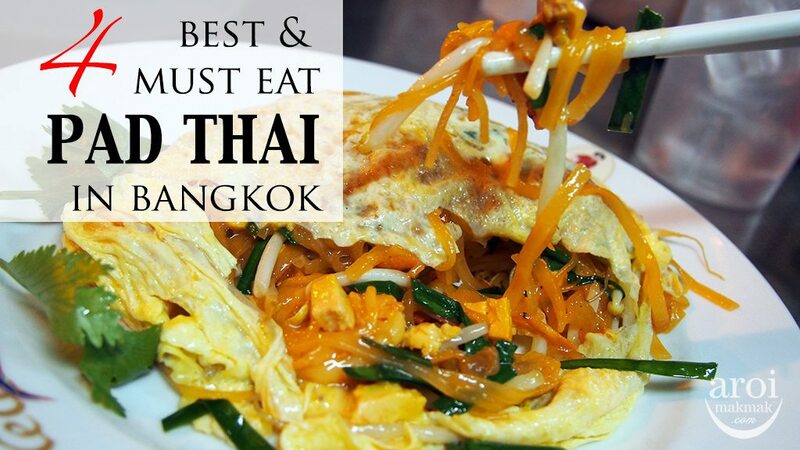 If you love Pad Thai, this is one place where you can consider trying since they are specialised in it. 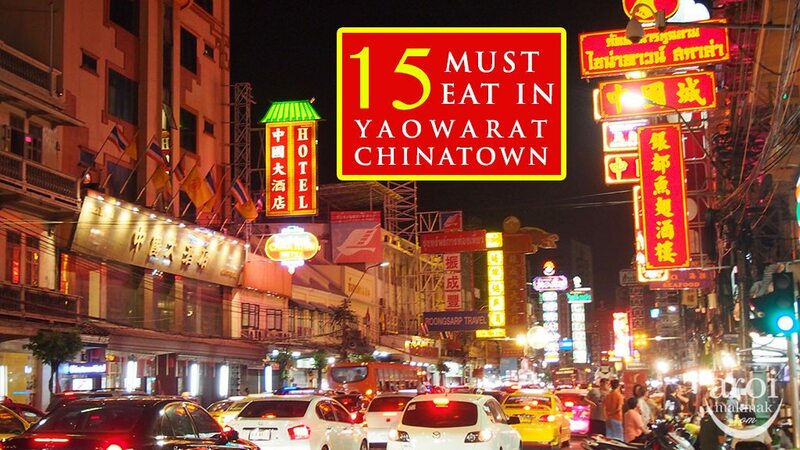 The price definitely is higher compared to many Pad Thai places but here, you can dine in a retro and clean setting although there’s no air conditioning.